═══════════════════════════════ R abbi Jan M. Brahms, D.D. - Congregation Beth Shalom, TX The presentations Rabbi Salazar gave to our students and to the adult members of our congregation was nothing short of brilliant. He adjusted his focus to the age of those who came to witness and learn. He is a truly gifted teacher along with being an expert sofer and a beautiful mensch. We are honored he was with us. I do not know how he did what he did from a physical standpoint. Due to Shabbat, he arrived very late on Saturday night. He started early on Sunday morning and went non-stop from that point on. I greatly admire his stamina along with his kindness. We are so happy we have contracted you and your fellow scribes to maintain our holy Torahs...Once again thank you for your professionalism and for your beautiful work. ═══════════════════════════════ Fr ances Olick - Temple Hesed, PA Shalom Rabbi, Thank you so very much for all the love, skill, hard work and wonderful results in cleaning up and repairing our 2 Torah scrolls. We had a re-dedication of them this past Friday and the congregation was thrilled. I personally want to express my gratitude to you for your patience in bringing this project to fruition and for all your patience with me during this project! ═══════════════════════════════ Li nda and Steve Jacobson - B'nai Israel Synagogue - West Bloomfield, MI On behalf of our entire family, we wish to thank you for assisting us in securing and restoring a Sefer Torah as a legacy for our children and the generations yet to be born. We look forward to using this Torah regularly in our own synagogue, but especially for future simchas. We are fortunate to have children who appreciate the value of such a gift, and feel blessed that we are able to do this for all of us. On a personal note, you have been an outstanding group of people to work with, both yourselves and your entire office staff and rabbis with whom we have spoken. You are professional and kind and we appreciate your assistance both with our new Torah and in fixing the synagogue Torahs at B'nai Israel Synagogue. Rabbi Druin has been especially interesting to speak with and to get to know personally. Our entire family enjoyed learning from him and speaking with him as they filled in their letters. Wishing all of you a Shanah Tovah U'metukoh. May you all be inscribed for a good, healthy, peaceful year. ═══════════════════════════════ M iriam Weinstein - Temple Ahavat Achim - Gloucester, MA Our synagogue burned, and we lost all our torahs. We rebuilt our building; the next step was to have our own torah. This really helped us to move into our future, and to all feel part of receiving our new torah. Sofer On Site allowed every family to write a letter, so that they could be part of this mitzvah. They made the process easy for us, and managed to connect with everyone, from a newborn to a 90-year-old. _________________ Ruth Budelmann - Temple Ahavat Achim - Gloucester, MA We loved working with Sofer On Site!! We had a fire which destroyed our Temple. After rebuilding our synagogue, we needed to buy a Torah. I did not want to "just buy a Torah", I wanted it to have a "community building" component. 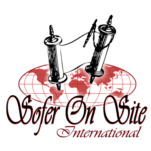 We had heard about Sofer On Site and everything you do. The power of families being able to write a letter in our new Torah exceeded our expectations! Our Temple families still talk about the moment they sat down to write a letter and what that meant to them...And we now have a new Torah......with a great story.......how members all had the opportunity to be part of this new Torah as Temple Ahavat Achim moves forward!!!! It was a pleasure working with Sofer On Site!!!!!!! Thank you for your enthusiasm and knowledge !! Thank you for making the process of receiving a Torah so meaningful! _________________ Miriam Weinstein & Ruth Budelman, Richmond Torah Center, San Fransisco, CA Thanks so much! We just wanted to let you know that our event on Sunday was tremendously successful. During the program, Rabbi Selwyn kept the kids totally involved. And he managed to connect, in a very personal way, with every group that wrote a letter. We have had the most enthusiastic thanks from everyone who was there. Thanks, Rabbi Selwyn, for everything, including your advice about publicizing the event... ═══════════════════════════════ R abbi Elias Lieberman - Falmouth Jewish Congregation, MA I wanted to let you know how pleased we were with Rabbi Salazar’s presentation to our community this morning. He was informative, personable and obviously very knowledgeable and we were delighted to have had him here. B’vracha, _________________ Pamela Rothstein, Director of Lifelong Learning - Falmouth Jewish Congregation, MA I echo Rabbi Lieberman's sentiments about Rabbi Salazar's excellent presentation. He was engaging, inspired, and informative. I know that those present -- a good sized crowd of 24 on a weekday - appreciated his holistic teaching about the art, history, and craft of his work within the context of Judaism and Torah. ═══════════════════════════════ R abbi Yaron Kapitulnik, Temple Judea, Palm Beach, FL Just a few months ago we have finished writing a new Torah for our Temple. Our project was in many ways unique and was definitely one of the most significant processes that ever took place in our temple since its establishment 33 years ago. As we started planning this year, we immediately discovered the amazing and dedicated staff at “Sofer On Site”. From the first meeting it was clear that we are working with a group of professionals that are not just knowledgeable and eager to succeed but also friendly, open minded and passionate about their work. We had many concerns and many questions in the first stages, and when ever we needed direction and help there was always a warm voice on the other side of the phone with good advice. Although we did not follow the exact plan that was suggested and deviated in order to create a project that was more fit for our congregation, the staff at Sofer On Site were always accommodating and flexible. Rabbi Levi Selwyn, “OUR SOFER” came to our congregation over 10 times. In each and every visit he was nothing short of an angel sent to us! He was patient, knowledgeable and gracious, he treated all people, men, woman, children, Jews and non-Jews with respect, with courtesy and for many, the meeting with him was the highlight of the entire experience. We are grateful for the entire staff of Sofer On Site and their incredible support, because of you our temple is now stronger, united and better educated. But mostly – inspired by the beauty and power of Torah. ═══════════════════════════════ J acquie Serebrani-Kesner, Temple Isaiah, Lexington, MA Dear Rabbi Druin, Thank you for sharing your wisdom and experience with the children at Temple Isaiah. The opportunity to observe and engage with you was a life-changing and deeply moving experience for all of us. After your presentation the children and I gathered to further discuss your process and share reflections about your soulful connection to your work. On Wednesday each child was given a quill (a feather from my furry and feathered menagerie), a bubble of liquid darkness, and a sheet of clean white paper. They tried to steady their hands and create either the first letter in their Hebrew name/s, their Hebrew name or, their English first name. We have enclosed these cards as a small gesture of our appreciation to you. Thank you for sharing your wisdom and inspiring all of us to journey from within the liquid darkness into to the depth of each letter that emerges from the "bubble" of a "kiss". With gratitude, Jacquie Serebrani-Kesner & Dalet Students ═══════════════════════════════ S usan Freeman, Temple Shalom, Naples, FL Dear Rabbi Goldstein, I want you to know how much we appreciate your patience and willingness to experiment with different options. I know we've been a pain in the neck asking to see countless variations on the theme, with both the brochure and the banner. Your creative input and technical skills have truly helped us reach our goals. The brochure is beautiful and everyone is pleased! Marc and I - and the whole Marketing Committee - have enjoyed working with you and look forward to future projects as "Our Torah" progresses at Temple Shalom. A million thanks, ═══════════════════════════════ D aniel Kulakofsky, Beth El Temple, Hartford, CT Dear Rabbi Druin while there are miles to go I just wanted to take a minute to compliment Rabbi Goldstein. Rabbi Goldstein's creativity and talent have already helped us to produce some terrific materials. Even more important however, is the exceptional customer experience Rabbi Goldstein is providing. We will soon be out from behind our very tight initial deadlines but without Rabbi Goldstein making himself so available to date we would not be where we are. You should also know that even when we are pushing because we are late Rabbi Goldstein accommodates us with a smile. I truly appreciate the support we are getting from Rabbi Goldstein. א═══════════════════════════════ Jo el Elliot, Executive Director - Temple B'rith Kodesh, Rochester, NY Rochel, Thanks for your call and thanks for asking for feedback about Rabbi Salazar's visit. Our committee co-chairperson, Steven Robbins, reported he did a truly wonderful job taking all of the Sunday school classes through short sessions on what it means to be a Sofer and the elements of repairing and creating a Torah. Rabbi Salazar was wonderful at adjusting his lectures to the different age groups and emphasizing different aspects of the challenge of becoming a Sofer and creating/restoring a Torah. He used his own experiences and very good reference points to drive home how demanding it is to write for 4-6 hours a day with a quill and how the process is purposefully exacting as you create a holy scroll. After those sessions, he rolled up his sleeves and got to work on the scroll we'd selected for attention. He completed restoration on Genesis, Exodus and Leviticus on Sunday afternoon and Monday, and completed the work on Tuesday morning. In addition, he talked with Doug Gallant, our own passionate "Torah Restorah," and carefully reviewed the Pilsn scroll (on loan from the Westminster Trust). We look forward to the detailed, updated report on that scroll. ═══════════════════════════════ R abbi Jan M. Brahms, D.D. - Congregation Beth Shalom, TX The presentations Rabbi Salazar gave to our students and to the adult members of our congregation was nothing short of brilliant. He adjusted his focus to the age of those who came to witness and learn. He is a truly gifted teacher along with being an expert sofer and a beautiful mensch. We are honored he was with us. I do not know how he did what he did from a physical standpoint. Due to Shabbat, he arrived very late on Saturday night. He started early on Sunday morning and went non-stop from that point on. I greatly admire his stamina along with his kindness. We are so happy we have contracted you and your fellow scribes to maintain our holy Torahs...Once again thank you for your professionalism and for your beautiful work. ═══════════════════════════════ Fr ances Olick - Temple Hesed, PA Shalom Rabbi, Thank you so very much for all the love, skill, hard work and wonderful results in cleaning up and repairing our 2 Torah scrolls. We had a re-dedication of them this past Friday and the congregation was thrilled. I personally want to express my gratitude to you for your patience in bringing this project to fruition and for all your patience with me during this project! ═══════════════════════════════ Li nda and Steve Jacobson - B'nai Israel Synagogue - West Bloomfield, MI On behalf of our entire family, we wish to thank you for assisting us in securing and restoring a Sefer Torah as a legacy for our children and the generations yet to be born. We look forward to using this Torah regularly in our own synagogue, but especially for future simchas. We are fortunate to have children who appreciate the value of such a gift, and feel blessed that we are able to do this for all of us. On a personal note, you have been an outstanding group of people to work with, both yourselves and your entire office staff and rabbis with whom we have spoken. You are professional and kind and we appreciate your assistance both with our new Torah and in fixing the synagogue Torahs at B'nai Israel Synagogue. Rabbi Druin has been especially interesting to speak with and to get to know personally. Our entire family enjoyed learning from him and speaking with him as they filled in their letters. Wishing all of you a Shanah Tovah U'metukoh. May you all be inscribed for a good, healthy, peaceful year. ═══════════════════════════════ M iriam Weinstein - Temple Ahavat Achim - Gloucester, MA Our synagogue burned, and we lost all our torahs. We rebuilt our building; the next step was to have our own torah. This really helped us to move into our future, and to all feel part of receiving our new torah. Sofer On Site allowed every family to write a letter, so that they could be part of this mitzvah. They made the process easy for us, and managed to connect with everyone, from a newborn to a 90-year-old. _________________ Ruth Budelmann - Temple Ahavat Achim - Gloucester, MA We loved working with Sofer On Site!! We had a fire which destroyed our Temple. After rebuilding our synagogue, we needed to buy a Torah. I did not want to "just buy a Torah", I wanted it to have a "community building" component. We had heard about Sofer On Site and everything you do. The power of families being able to write a letter in our new Torah exceeded our expectations! Our Temple families still talk about the moment they sat down to write a letter and what that meant to them...And we now have a new Torah......with a great story.......how members all had the opportunity to be part of this new Torah as Temple Ahavat Achim moves forward!!!! It was a pleasure working with Sofer On Site!!!!!!! Thank you for your enthusiasm and knowledge !! Thank you for making the process of receiving a Torah so meaningful! _________________ Miriam Weinstein & Ruth Budelman, Richmond Torah Center, San Fransisco, CA Thanks so much! We just wanted to let you know that our event on Sunday was tremendously successful. During the program, Rabbi Selwyn kept the kids totally involved. And he managed to connect, in a very personal way, with every group that wrote a letter. We have had the most enthusiastic thanks from everyone who was there. Thanks, Rabbi Selwyn, for everything, including your advice about publicizing the event... ═══════════════════════════════ R abbi Elias Lieberman - Falmouth Jewish Congregation, MA I wanted to let you know how pleased we were with Rabbi Salazar’s presentation to our community this morning. He was informative, personable and obviously very knowledgeable and we were delighted to have had him here. B’vracha, _________________ Pamela Rothstein, Director of Lifelong Learning - Falmouth Jewish Congregation, MA I echo Rabbi Lieberman's sentiments about Rabbi Salazar's excellent presentation. He was engaging, inspired, and informative. I know that those present -- a good sized crowd of 24 on a weekday - appreciated his holistic teaching about the art, history, and craft of his work within the context of Judaism and Torah. ═══════════════════════════════ R abbi Yaron Kapitulnik, Temple Judea, Palm Beach, FL Just a few months ago we have finished writing a new Torah for our Temple. Our project was in many ways unique and was definitely one of the most significant processes that ever took place in our temple since its establishment 33 years ago. As we started planning this year, we immediately discovered the amazing and dedicated staff at “Sofer On Site”. From the first meeting it was clear that we are working with a group of professionals that are not just knowledgeable and eager to succeed but also friendly, open minded and passionate about their work. We had many concerns and many questions in the first stages, and when ever we needed direction and help there was always a warm voice on the other side of the phone with good advice. Although we did not follow the exact plan that was suggested and deviated in order to create a project that was more fit for our congregation, the staff at Sofer On Site were always accommodating and flexible. Rabbi Levi Selwyn, “OUR SOFER” came to our congregation over 10 times. In each and every visit he was nothing short of an angel sent to us! He was patient, knowledgeable and gracious, he treated all people, men, woman, children, Jews and non-Jews with respect, with courtesy and for many, the meeting with him was the highlight of the entire experience. We are grateful for the entire staff of Sofer On Site and their incredible support, because of you our temple is now stronger, united and better educated. But mostly – inspired by the beauty and power of Torah. ═══════════════════════════════ J acquie Serebrani-Kesner, Temple Isaiah, Lexington, MA Dear Rabbi Druin, Thank you for sharing your wisdom and experience with the children at Temple Isaiah. The opportunity to observe and engage with you was a life- changing and deeply moving experience for all of us. After your presentation the children and I gathered to further discuss your process and share reflections about your soulful connection to your work. On Wednesday each child was given a quill (a feather from my furry and feathered menagerie), a bubble of liquid darkness, and a sheet of clean white paper. They tried to steady their hands and create either the first letter in their Hebrew name/s, their Hebrew name or, their English first name. We have enclosed these cards as a small gesture of our appreciation to you. Thank you for sharing your wisdom and inspiring all of us to journey from within the liquid darkness into to the depth of each letter that emerges from the "bubble" of a "kiss". With gratitude, Jacquie Serebrani-Kesner & Dalet Students ═══════════════════════════════ S usan Freeman, Temple Shalom, Naples, FL Dear Rabbi Goldstein, I want you to know how much we appreciate your patience and willingness to experiment with different options. I know we've been a pain in the neck asking to see countless variations on the theme, with both the brochure and the banner. Your creative input and technical skills have truly helped us reach our goals. The brochure is beautiful and everyone is pleased! Marc and I - and the whole Marketing Committee - have enjoyed working with you and look forward to future projects as "Our Torah" progresses at Temple Shalom. A million thanks, ═══════════════════════════════ D aniel Kulakofsky, Beth El Temple, Hartford, CT Dear Rabbi Druin while there are miles to go I just wanted to take a minute to compliment Rabbi Goldstein. Rabbi Goldstein's creativity and talent have already helped us to produce some terrific materials. Even more important however, is the exceptional customer experience Rabbi Goldstein is providing. We will soon be out from behind our very tight initial deadlines but without Rabbi Goldstein making himself so available to date we would not be where we are. You should also know that even when we are pushing because we are late Rabbi Goldstein accommodates us with a smile. I truly appreciate the support we are getting from Rabbi Goldstein. א═══════════════════════════════ Jo el Elliot, Executive Director - Temple B'rith Kodesh, Rochester, NY Rochel, Thanks for your call and thanks for asking for feedback about Rabbi Salazar's visit. Our committee co-chairperson, Steven Robbins, reported he did a truly wonderful job taking all of the Sunday school classes through short sessions on what it means to be a Sofer and the elements of repairing and creating a Torah. Rabbi Salazar was wonderful at adjusting his lectures to the different age groups and emphasizing different aspects of the challenge of becoming a Sofer and creating/restoring a Torah. He used his own experiences and very good reference points to drive home how demanding it is to write for 4-6 hours a day with a quill and how the process is purposefully exacting as you create a holy scroll. After those sessions, he rolled up his sleeves and got to work on the scroll we'd selected for attention. He completed restoration on Genesis, Exodus and Leviticus on Sunday afternoon and Monday, and completed the work on Tuesday morning. In addition, he talked with Doug Gallant, our own passionate "Torah Restorah," and carefully reviewed the Pilsn scroll (on loan from the Westminster Trust). We look forward to the detailed, updated report on that scroll. ═══════════════════════════════ R abbi Jan M. Brahms, D.D. - Congregation Beth Shalom, TX The presentations Rabbi Salazar gave to our students and to the adult members of our congregation was nothing short of brilliant. He adjusted his focus to the age of those who came to witness and learn. He is a truly gifted teacher along with being an expert sofer and a beautiful mensch. We are honored he was with us. I do not know how he did what he did from a physical standpoint. Due to Shabbat, he arrived very late on Saturday night. He started early on Sunday morning and went non-stop from that point on. I greatly admire his stamina along with his kindness. We are so happy we have contracted you and your fellow scribes to maintain our holy Torahs...Once again thank you for your professionalism and for your beautiful work. ═══════════════════════════════ Fr ances Olick - Temple Hesed, PA Shalom Rabbi, Thank you so very much for all the love, skill, hard work and wonderful results in cleaning up and repairing our 2 Torah scrolls. We had a re-dedication of them this past Friday and the congregation was thrilled. I personally want to express my gratitude to you for your patience in bringing this project to fruition and for all your patience with me during this project! ═══════════════════════════════ Li nda and Steve Jacobson - B'nai Israel Synagogue - West Bloomfield, MI On behalf of our entire family, we wish to thank you for assisting us in securing and restoring a Sefer Torah as a legacy for our children and the generations yet to be born. We look forward to using this Torah regularly in our own synagogue, but especially for future simchas. We are fortunate to have children who appreciate the value of such a gift, and feel blessed that we are able to do this for all of us. On a personal note, you have been an outstanding group of people to work with, both yourselves and your entire office staff and rabbis with whom we have spoken. You are professional and kind and we appreciate your assistance both with our new Torah and in fixing the synagogue Torahs at B'nai Israel Synagogue. Rabbi Druin has been especially interesting to speak with and to get to know personally. Our entire family enjoyed learning from him and speaking with him as they filled in their letters. Wishing all of you a Shanah Tovah U'metukoh. May you all be inscribed for a good, healthy, peaceful year. ═══════════════════════════════ M iriam Weinstein - Temple Ahavat Achim - Gloucester, MA Our synagogue burned, and we lost all our torahs. We rebuilt our building; the next step was to have our own torah. This really helped us to move into our future, and to all feel part of receiving our new torah. Sofer On Site allowed every family to write a letter, so that they could be part of this mitzvah. They made the process easy for us, and managed to connect with everyone, from a newborn to a 90- year-old. _________________ Ruth Budelmann - Temple Ahavat Achim - Gloucester, MA We loved working with Sofer On Site!! We had a fire which destroyed our Temple. After rebuilding our synagogue, we needed to buy a Torah. I did not want to "just buy a Torah", I wanted it to have a "community building" component. We had heard about Sofer On Site and everything you do. The power of families being able to write a letter in our new Torah exceeded our expectations! Our Temple families still talk about the moment they sat down to write a letter and what that meant to them...And we now have a new Torah......with a great story.......how members all had the opportunity to be part of this new Torah as Temple Ahavat Achim moves forward!!!! It was a pleasure working with Sofer On Site!!!!!!! Thank you for your enthusiasm and knowledge !! Thank you for making the process of receiving a Torah so meaningful! _________________ Miriam Weinstein & Ruth Budelman, Richmond Torah Center, San Fransisco, CA Thanks so much! We just wanted to let you know that our event on Sunday was tremendously successful. During the program, Rabbi Selwyn kept the kids totally involved. And he managed to connect, in a very personal way, with every group that wrote a letter. We have had the most enthusiastic thanks from everyone who was there. Thanks, Rabbi Selwyn, for everything, including your advice about publicizing the event... ═══════════════════════════════ R abbi Elias Lieberman - Falmouth Jewish Congregation, MA I wanted to let you know how pleased we were with Rabbi Salazar’s presentation to our community this morning. He was informative, personable and obviously very knowledgeable and we were delighted to have had him here. B’vracha, _________________ Pamela Rothstein, Director of Lifelong Learning - Falmouth Jewish Congregation, MA I echo Rabbi Lieberman's sentiments about Rabbi Salazar's excellent presentation. He was engaging, inspired, and informative. I know that those present -- a good sized crowd of 24 on a weekday - appreciated his holistic teaching about the art, history, and craft of his work within the context of Judaism and Torah. ═══════════════════════════════ R abbi Yaron Kapitulnik, Temple Judea, Palm Beach, FL Just a few months ago we have finished writing a new Torah for our Temple. Our project was in many ways unique and was definitely one of the most significant processes that ever took place in our temple since its establishment 33 years ago. As we started planning this year, we immediately discovered the amazing and dedicated staff at “Sofer On Site”. From the first meeting it was clear that we are working with a group of professionals that are not just knowledgeable and eager to succeed but also friendly, open minded and passionate about their work. We had many concerns and many questions in the first stages, and when ever we needed direction and help there was always a warm voice on the other side of the phone with good advice. Although we did not follow the exact plan that was suggested and deviated in order to create a project that was more fit for our congregation, the staff at Sofer On Site were always accommodating and flexible. Rabbi Levi Selwyn, “OUR SOFER” came to our congregation over 10 times. In each and every visit he was nothing short of an angel sent to us! He was patient, knowledgeable and gracious, he treated all people, men, woman, children, Jews and non-Jews with respect, with courtesy and for many, the meeting with him was the highlight of the entire experience. We are grateful for the entire staff of Sofer On Site and their incredible support, because of you our temple is now stronger, united and better educated. But mostly – inspired by the beauty and power of Torah. ═══════════════════════════════ J acquie Serebrani-Kesner, Temple Isaiah, Lexington, MA Dear Rabbi Druin, Thank you for sharing your wisdom and experience with the children at Temple Isaiah. The opportunity to observe and engage with you was a life-changing and deeply moving experience for all of us. After your presentation the children and I gathered to further discuss your process and share reflections about your soulful connection to your work. On Wednesday each child was given a quill (a feather from my furry and feathered menagerie), a bubble of liquid darkness, and a sheet of clean white paper. They tried to steady their hands and create either the first letter in their Hebrew name/s, their Hebrew name or, their English first name. We have enclosed these cards as a small gesture of our appreciation to you. Thank you for sharing your wisdom and inspiring all of us to journey from within the liquid darkness into to the depth of each letter that emerges from the "bubble" of a "kiss". With gratitude, Jacquie Serebrani-Kesner & Dalet Students ═══════════════════════════════ S usan Freeman, Temple Shalom, Naples, FL Dear Rabbi Goldstein, I want you to know how much we appreciate your patience and willingness to experiment with different options. I know we've been a pain in the neck asking to see countless variations on the theme, with both the brochure and the banner. Your creative input and technical skills have truly helped us reach our goals. The brochure is beautiful and everyone is pleased! Marc and I - and the whole Marketing Committee - have enjoyed working with you and look forward to future projects as "Our Torah" progresses at Temple Shalom. A million thanks, ═══════════════════════════════ D aniel Kulakofsky, Beth El Temple, Hartford, CT Dear Rabbi Druin while there are miles to go I just wanted to take a minute to compliment Rabbi Goldstein. Rabbi Goldstein's creativity and talent have already helped us to produce some terrific materials. Even more important however, is the exceptional customer experience Rabbi Goldstein is providing. We will soon be out from behind our very tight initial deadlines but without Rabbi Goldstein making himself so available to date we would not be where we are. You should also know that even when we are pushing because we are late Rabbi Goldstein accommodates us with a smile. I truly appreciate the support we are getting from Rabbi Goldstein. א═══════════════════════════════ Jo el Elliot, Executive Director - Temple B'rith Kodesh, Rochester, NY Rochel, Thanks for your call and thanks for asking for feedback about Rabbi Salazar's visit. Our committee co-chairperson, Steven Robbins, reported he did a truly wonderful job taking all of the Sunday school classes through short sessions on what it means to be a Sofer and the elements of repairing and creating a Torah. Rabbi Salazar was wonderful at adjusting his lectures to the different age groups and emphasizing different aspects of the challenge of becoming a Sofer and creating/restoring a Torah. He used his own experiences and very good reference points to drive home how demanding it is to write for 4-6 hours a day with a quill and how the process is purposefully exacting as you create a holy scroll. After those sessions, he rolled up his sleeves and got to work on the scroll we'd selected for attention. He completed restoration on Genesis, Exodus and Leviticus on Sunday afternoon and Monday, and completed the work on Tuesday morning. In addition, he talked with Doug Gallant, our own passionate "Torah Restorah," and carefully reviewed the Pilsn scroll (on loan from the Westminster Trust). We look forward to the detailed, updated report on that scroll.